Eng lesson for 13 years old to seniors. 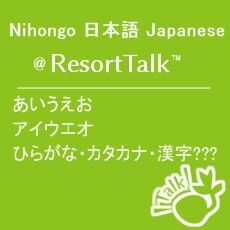 "Resort Talk" is managed by Japanese Standard Time (GMT+9). Please make a reservation with Japanese Standard Time. Current Time of JST is "2019/04/20 12:09:07".